What's the Cost for Spanish Lessons? The table just below illustrates the price range per hour for each type of class (considering 20 hours per week). Further bellow you'll find a Complete Price List with Start Dates for Each Type of Spanish Course. * Prices are in US Dollars. Group Lessons have a maximum of six students per class (average is 3 - 4). Mini Group Lessons are intended for two or three students who want to restrict their class size. Private Lessons are 1 to 1 classes (one teacher with one student). The * price range per week in the above table is calculated assuming 20 hours per week are taken. Depending on which course a student signs up for, students can sign up for more or less hours of Spanish lessons per week. The cost per hour for Spanish lessons at our Spanish Schools depends on the amount of hours purchased. The more hours a student signs up for, the better the rate he or she will have access to. Rates for Spanish lessons are the same at all of our Spanish schools (Habla Ya Panama City, Habla Ya Bocas del Toro and Habla Ya Boquete). As long as we have availability you can use your hours at any school location. Please note: if you haven't already had the opportunity to visit our Spanish courses' section we highly recommend that you do so now. As we offer MANY different Spanish courses for different specific needs, visiting our Spanish courses' section will allow you to have a better understanding of the best option for you. After that, please feel free to come back to browse this section so that you can compare prices side by side. You can start on almost every Monday throughout the year. Read more here...Click to collapse. For those students who don't know any Spanish, beginner groups usually start on every Monday of each month, but there are exceptions, so please complete your PLACEMENT TEST to ensure there is availability. Students who ALREADY KNOW SOME SPANISH can start their Group 4 Spanish course on ANY MONDAY THROUGHOUT THE YEAR as long as they SIGN UP IN ADVANCE! If you know some Spanish, even a little bit, please remember to also complete our PLACEMENT TEST. STUDENTS WHO ALREADY KNOW SOME SPANISH may start their Group 4 course on ANY MONDAY throughout the year depending on group availability for their level. If you know some Spanish, not necessarily having reached an Intermediate or Advanced Spanish level, please fill out our Placement Test to make sure you're placed in the best level for you. The rate per hour depends on the amount of hours you book. More hours = lower rate per hour. Private Spanish lessons in Bocas del Toro, Panama City and Boquete, Panama can be arranged to start whenever you want to (as long as we have availability) and you can choose to have from 10 to 30 hours of private lessons per week (you can even sign up for less than a week). 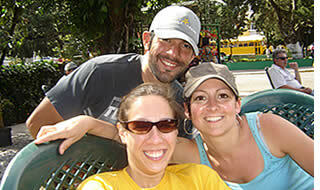 Our Spanish for Travelers Course adapts to your travel needs. If you let us know in advance, we can start your Spanish course in Panama City, Boquete or Bocas del Toro on virtually any day in the morning or afternoon: it's your choice. If you need to take a Basic Spanish Course in a hurry and just have one day for language studies, then we can schedule four hours of private or mini group lessons either in the morning or afternoon. If you're making your journey with a group of friends and plan to have Spanish lessons for the entire week from Monday to Friday we can schedule four hours of mini group lessons in the morning or in the afternoon and leave the other half of the day for you to explore Boquete, Panama City or Bocas del Toro. Our team will be more than happy to assist you and help you plan all the ecotours that you would like to do in Boquete, Panama City or Bocas del Toro, Panama. You can always just show up at our door and request Spanish lessons but we cannot guarantee that we will have a group for you on that exact day or that we will have teachers available to give you Spanish lessons within the schedule that you're looking for. If you're traveling on your own and intend to have lessons within a group it will be easier if you enroll in our Group 4 Course and if you would like to secure a specific schedule for private or mini group lessons it will be easier if you Sign Up & Register in advance. The cost of a Travelers Spanish Course depends on the amount of hours you sign up for and if you have private lessons or mini group lessons (minimum of two and can begin on any day of the week). Depending on availability, classes can be scheduled in the morning or afternoon in a 1 - 5 day time frame. Learning Spanish if you're traveling in Central & South America is the best investment you can make as a tourist: we guarantee it! 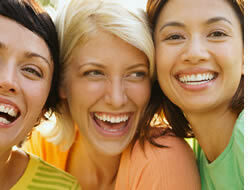 If you're traveling with a group we can arrange a Spanish for Travelers course for all of you. If you're traveling by yourself you'll probably have to sign up for private lessons if you want to have a Spanish for Travelers course. Please Contact Us and we will let you know if there are any groups intending to have the same course on dates near to you but if you prefer a group we would highly recommend joining our Group 4 Course. When to Start your DELE Preparation Course? A DELE Exam Preparation Course can be arranged to start whenever you want to, but our advice is to start preparing for your DELE exam with at least 2 months of anticipation before your examination date, although this also depends on your specific Spanish level and on the specific DELE Cervantes Diploma you want to achieve. Please submit your Placement Test before registering for the DELE exam and we will let you know your current Spanish level and help you decide which of the 6 DELE exams you should take and when you should take it, also taking into account how much time you have to prepare for it. Registration for 2019 exams opens on November 14th 2018. If we consider that there is not enough time to prepare for the DELE Test that you have already registered for we will unfortunately not be able accept your application for our DELE Exam Preparation Course. The amount of hours you'll end up purchasing is the exact amount of hours that you'll need to prepare for your DELE Test and get your DELE Diploma. You can choose to have between 4 - 6 hours of 1 to 1 Spanish Lessons per day. You can also join our Group 4 PLUS 2 Course (4 hours of group lessons + 2 hours of private lessons per day) and devote the extra hours of private lessons to prepare the DELE, while utilizing your group lessons to keep improving your general Spanish and conversational skills. When considering how many of hours to sign up for, take into account the specific level that you should complete in your DELE Preparation Course in order to successfully pass your DELE Test. In order to determine your current Spanish level, please submit your Placement Test. Prices are in US Dollars. Official registration requirements, sample examination papers, official dates and examination centers can be looked up at the DELE's Official Website by the Cervantes Institute. You can have from a minimum of 4 and up to 20 hours of Online Spanish Tutoring per week. Rates for Online Spanish Lessons go from $16.63 to $25 per hour . The more hours purchased, the lower the rate per hour. 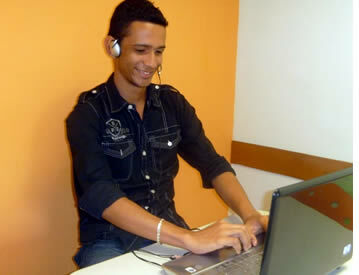 Online Spanish classes are offered in multiples of 30 hour blocks. Former Habla Ya students, who have coursed at least 60 hours of Spanish lessons at our Spanish Schools in Panama have access to a 15% discount off the below rates. Spanish students who intend to study at Habla Ya in the future, may also have access to the 15% discount as long as they book and pay for their Spanish course in Panama in advance. Prices are in US Dollars. If for any reason, during the first week of Online Spanish Lessons, you're not satisfied, we will refund the remaining amount of your program , no questions asked. After the second week, no refunds are given but credits can be saved for up to a year to use later on (but cannot be transferred). When considering how many of hours to sign up for, take into account that each of our first three levels can be completed in an average of 60 hours of lessons each, our fourth and fifth in 100 hours each, and our sixth level in an average of 400 hours more (to be just like a native). We will always make a professional suggestion based on your Spanish level, on how far you want to advance and on how fast you want to get there. To see what you'll be able to do upon completing each level you can visit our level system section and if you know some Spanish, please remember to also complete our Online Placement Test (and upon completion, let us know your level). Depending on your needs and circumstances, you might sign up for Private Lessons or for Mini Group Lessons and for this reason prices are shown for these two type of classes. The only exception is if you're adding private lessons to our Group 4 course to either have a more Intensive Spanish Course or to study a topic of your specific interest, e.g. 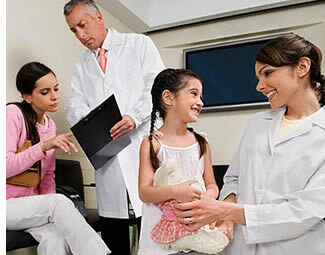 Medical Spanish. In this case just look up the rates for our Group 4 PLUS course. Groups start with two or more of the same level. Private lessons can start on any day of the week. Read more here...Click to collapse. 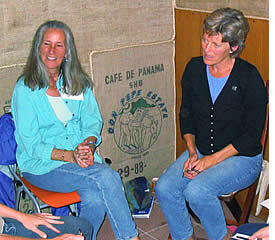 As this course is designed for new local residents in Panama, we can start a new group at any time. Only two students of the same level are needed to start a group. We continually start Beginner Crash Course Groups almost every other month and we always have groups of other levels starting and going on during every month. Please pay us a visit so that we can know your exact Spanish level, complete our online Placement Test or Contact Us and let us know if you do not know any Spanish and we will get back to you as soon as we have a group available for you. If you're retiring in Latin America, we suggest that you at least finish our first 2 levels: Survival I (A1) and Survival II (A2). Many of our students sign up for 60 hours, take the 10 week course and then come back 2 or 3 months later and sign up for another 60 hours to complete a second level. Upon completing those two levels, many students return a year later to do another one or two levels, but it is very important that you keep using your Spanish during all of that time. Each of our 3 first levels can be completed in a 60 hour (10 week) course. This is why students sign up for 2.5 months (60 hours of group lessons). When you sign up for a Part Time Spanish Crash Course for New Residents in Latin America we ask you to commit to finish at least one of our levels. This is why most students purchase 60 hours of group lessons throughout 10 weeks, making only 1 payment. If you find it more convenient you can also decide to make 3 payments for 20 hours each, 2 payments for 30 hours each or even make 1 payment to purchase 120 hours and complete two of our levels paying the best rate per hour for Spanish lessons. The above are special prices and are not subject to further discounts. Included in the course fees: registration, level test, class material and handouts, certificates, wifi internet connection at the school, cultural & social activities and access to all the school's facilities. Prices are in US Dollars. Note that there is no separate registration fee for our courses. Need a Quote for your Spanish Program? We'll get it to you in no time! Contact us! You can pay all your fees upon arrival. Boquete, Panama City and Bocas del Toro have plenty of ATMs where you can withdraw your money from if you're traveling with a debit or credit card with a valid PIN number. In Bocas del Toro there are two ATMs. In Boquete and Panama City, within a 1 km radius of our school there are about 5 cash points and a similar amount of banks. You can pay for your program by withdrawing the maximum amount ($500 per day) on several consecutive days during your first week. If you prefer to avoid having to do it like this, then you can also make a bank transfer to our account from abroad. If you would like to pay with an international check (from a bank account outside of Panama) or a travelers check we need to receive the check at least 30 days before your course starts and you have to add $10.35 to the total cost of your course to cover the processing fees imposed by the banks in Panama. Checks from international banks (foreign to Panama) take around 15 days to clear and local banks charge $10.35 to process them. Banco Nacional (which is a local bank) cashes these checks as long as they are written out in your name and charge 1% so this is also another option. If you would like to pay with a local, international check please write the check to PUYAKA, INC. If you live in Panama City, Boquete or Bocas del Toro you can bring the international check to our office at least 15 days before your course commences. Once you have sent it to us, please let us know writing us an email to . If the funds for the check have not cleared before your course starts, you'll have to select another method to make your payment. Making a bank transfer is very convenient as you won't have to carry the cash on you, nor will you incur in credit card processing fees or go through having to withdraw $500 per day with your debit card at an ATM upon arrival. If you're paying for your program in another currency rather than US Dollars, then you will most likely get a much better exchange rate as opposed to withdrawing the cash from an ATM upon arrival, paying with a credit card or exchanging currency at the airport (there aren't that many currency exchange options in the country). To make a deposit to our bank account the following information is provided. VERY IMPORTANT, PLEASE TAKE NOTE: An intermediary bank in the U.S.A is used to make the transfer to Panama. Please specify that the final credit is for PUYAKA, INC., account number 03-48-01-092037-5. YOU ALSO HAVE TO ADD OUR PHYSICAL ADDRESS AND ALSO YOUR OWN ADDRESS. Our address is Central Avenue, Los Establos Plaza, 20-22, Boquete, Chiriquí, Panamá. Once you have sent the funds please write us an email to letting us know that you have made the payment.